SES (Euronext Paris:SESG) (LuxX:SESG) and Orange Central African Republic now have an agreement to provide connectivity services in the Central African Republic — Orange will be using SES Network’s IP Transit solution to deliver faster 3G services and better-quality internet connections for enterprises. The solution will be delivered by SES Networks, using its MEO fleet and extensive ground infrastructure. It will allow customers of Orange Central African Republic to enjoy unparalleled availability and speed of internet services, never experienced before in the country. With this new service, Orange Central African Republic will enhance the performance of the local telecommunications sector, and bring seamless connectivity to hundreds of thousands of Central Africans. Orange Central African Republic and SES Networks Partner to reinforce connectivity in country. Photo is courtesy of Business Wire. 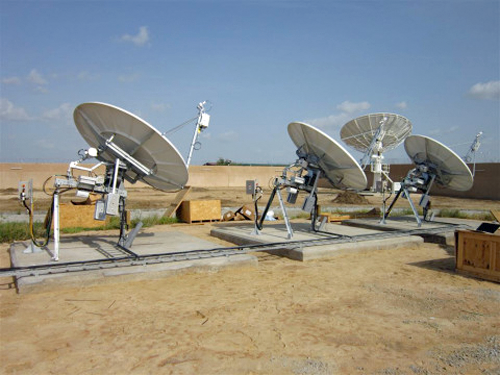 Corinne Lozé, the CEO at Orange Central African Republic, noted that a satellite-based solution is ideal for a country like Central African Republic, with its challenging terrain and lack of terrestrial infrastructure, resulting in low internet penetration. This new solution offers instant reach and better speed, allowing access to the very best of enterprise applications and a seamless user experience for all customers. The company was the first operator to launch a 3G network and is currently covering 10 cities in the country as well as providing mobile data and payment services in four major cities through the Orange Money service. Carole Kamaitha, Vice President Africa at SES Networks, furthered that these joint efforts will provide opportunities for local businesses and help bridge the digital divide, bringing connectivity even in remote areas where terrestrial telecoms infrastructures are not sufficient.